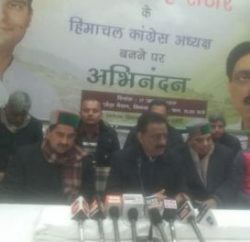 Eyeing at the forthcoming 2014 Lok Sabha election, Himachal Pradesh Congress Committee (HPCC) hold a meeting of observers deputed at the all Assembly constituencies to get feedback on their functioning. HPCC chief Sukhwinder Singh Sukhu presided over the meeting. The observers presented their reports during the meeting and also discussed various issues related to the party functioning. Addressing the meeting, Congress state president congratulated all the observers for successfully holding meetings in their respective blocks and creating awareness among party workers about the people-centric policies of the Congress-led UPA government and the state government. Sukhu added that party workers would now take awareness campaign to the panchayat level and ultimately to the booth level. In the next phase pamphlets would be distributed to the people to highlight the government policies. 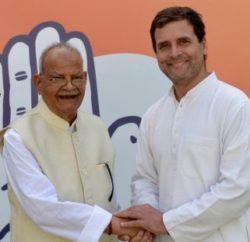 He said the party would ensure the presence of Congress and Youth Congress office-bearers, ministers, Chief Parliamentary Secretaries, MLAs, ex-MLAs, Mahila Congress, Sewa Dal, NSUI, INTUC and party’s frontal organisations at the block-level meeting. 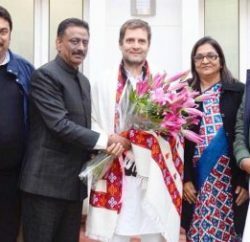 Now with the success of appointment of observers at Assembly constituencies, the Congress Committee was mulling to galvanize booth-level committees for the impending 2014 Lok Sabha elections. CPS Nand Lal, Vinay Kumar, Inder Dutt Lakhanpal, HPCC general secretary Geeta Negi, spokesperson Naresh Chauhan and block-level observers were present at the meeting.